The report is the second in a series about the extent of the global tobacco epidemic and measures to stop it. It includes the latest global and country figures on the prevalence of tobacco use and on the measures' impacts. The report's theme is "smoke-free environments". WHO chose the theme because of the serious harmful effects of second-hand smoke, which include about 600,000 premature deaths per year, numerous crippling illnesses and economic losses in the tens of billions of dollars. Amelie Mauresmo came out at the Australian Open in January 1999 at age 19. After a very successful Australian Open, beating top-ranked Lindsay Davenport, Mauresmo lept into the arms of her then girlfriend and announced that her success had to do with finding love and coming to terms with her sexuality. Regardless of her sexual orientation, Amelie Mauresmo has proven herself on the tennis court. She reached a #1 ranking in 2004. She's twice been a semi finalist at Wimbledon. She has 17 career titles and has reached the semi or quarter finals at the US Open four times. In 2006 Amelie Mauresmo won Wimbledon. In 2009, Amelie Mauresmo announced that she is retiring from the sport at age 30. The promotion and protection of human rights has been a major preoccupation for the United Nations since 1945, when the Organization's founding nations resolved that the horrors of The Second World War should never be allowed to recur. Respect for human rights and human dignity "is the foundation of freedom, justice and peace in the world", the General Assembly declared three years later in the Universal Declaration of Human Rights. In 1950, all States and interested organizations were invited by the General Assembly to observe 10 December as Human Rights Day (resolution 423(V)). Hundreds of people have died from the effects of toxic gases(MIC - Methyl Iso Cyanate which leaked from a chemical factory near the central Indian city of Bhopal. The accident happened in the early hours of December 3rd at the American-owned Union Carbide Pesticide Plant three miles (4.8 km) from Bhopal. Lauched by : Soviet Intercosmos rocket. Objectives : The objectives of this project were to indigenously design and fabricate a space-worthy satellite system and evaluate its perfromance in orbitr. * to evolve the methodology of conducting a series of complex operations on the satellite in its orbital phasei. and to establish infrastructure for the fabrication of spacecraft systems. The exercise also provided an opportunity to conduct investigations in the area of spcae sciences. 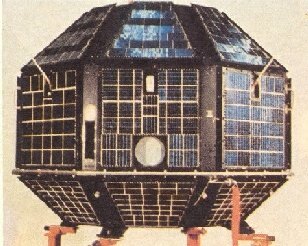 The satellite carried three experiments, one each in X-Ray Astronomy, Solar Physics and Aeronomy.